I brought some work colleagues here and everyone enjoyed their meals. The rib eye steak was excellent!! Really good food and reasonably priced. My friend and I loved it!!! Lovely staff and the food was excellent. Will definitely be visiting again very soon. You cannot beat this place, its the best. 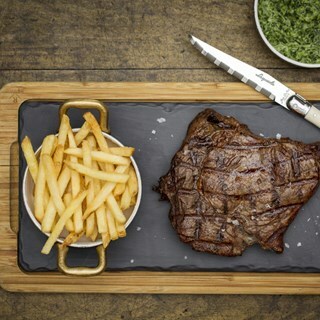 Best steak, best value and you don't have to go all the way into zone 1. Meat, served as it should be. Steak was excellent as usual but one of my party had a vegetarian burger and was violently ill outside the Cancer Research ship next door and in the ladies toilet. As a result we had to leave early and the staff were completely unconcerned. Great food, great service, will definitely be back. Not my kind of furniture - I distain those sofas, they are never the same height as the chains and they are too deep that you have to reach for your food - totally aware it is a personal thing! Bring back the goats cheese caprese salad and I'll come more often! And what happened to Pedro the manager? Me and my partner went here for a date night. Absolutely loved it!!! Will be going back very soon. The food here and service was fantastic. Really nice atmosphere. It's pretty good for a high street eatery. Technically a chain but there aren't many of them at present. Service was a touch slow, but perfectly pleasant. Limited menu in a good way, concentrating on a few things done well. It works for rugby internationals at Twickenham, station is close and only 20 minutes onward journey. 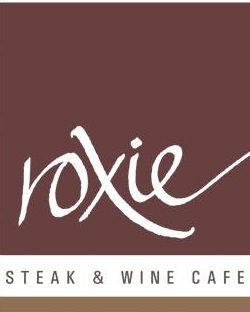 Roxie’s used to be my favourite restaurant, but as a coeliac there are now v limited side options available. I asked if they could do me a salad (all three salad/veg options contain gluten) and they just gave me lettuce leaves and still charged £3.50. Such a shame as it really is lovely steak. Also, fries should not be labelled GF when they are fried with gluten containing items. 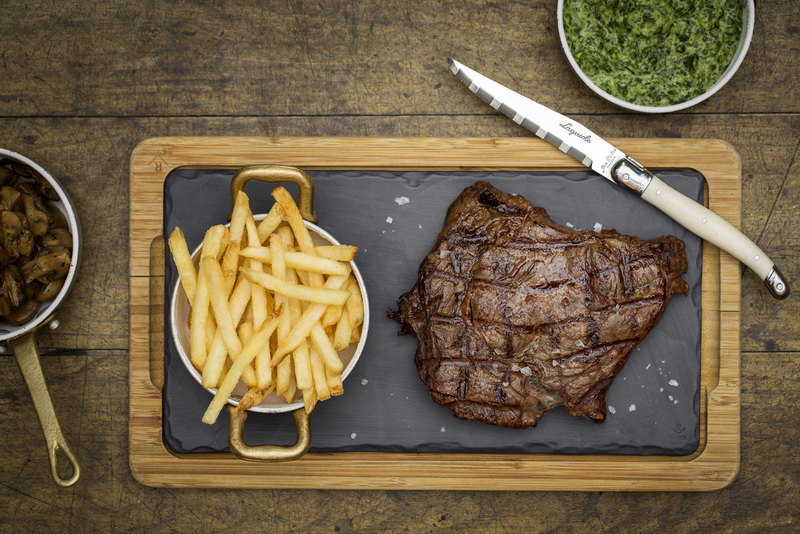 Great steaks, tasty sides, good wine menu. Service was attentive without being overbearing. Would definitely recommend! Both steak and wine were good, reasonable price of £80 for a meal for 2 including a bottle of red wine . Dear Roxie, six grumpy people turned up at Roxie and the meals transformed everyone and six happy people left and couldn't remember why we were grumpy. Thanks for a lovely evening. Was rushed through quite quickly. Had the table booked from 7.30-9 but had finished a 3 course meal by 8.30. Quite dissapointed. Great dinner. We all had different cuts of beef and everyone was happy with theirs. Specially the flat iron was delicious. Service was great.